Women farmers learn how to adapt their agricultural practices to changes in the climate through farmer field schools in Mozambique. Credit: Ausi Petrelius/2010. There are many different factors which shape inequality across gender, ethnic, cultural or religious groups and therefore also determine the different ways in which climate change impacts on individuals, households and communities. Differences in access to information, control over resources and ability to innovate in response to climate challenges determine a person, household or community’s ability to adapt. Furthermore, their different roles give women and men different knowledge, priorities and concerns in relation to climate change. Adaptation interventions are often based on the belief that women’s role in the home makes them critical agents of change and, thus, a focus for adaptation interventions. But many women do not have decision-making power within the home or over all household resources, let alone over valued livelihood resources and may not be able to keep or manage their own earnings. Even in some female-headed households, social stigma may prevent many women from being treated as economic or social equals, despite their sole management of their livelihoods. These barriers tend not to be addressed by climate change adaptation programmes, which can inadvertently entrench gender inequality and even increase women’s workloads. 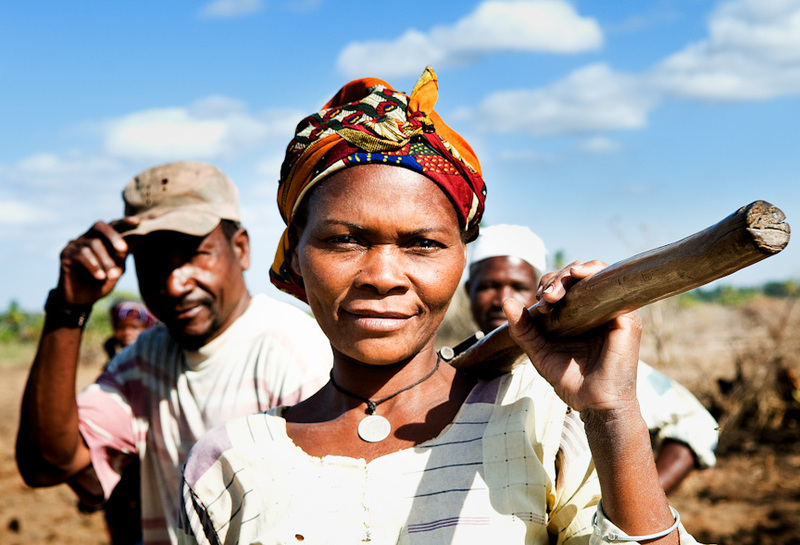 ALP's learning about gender dynamics and the ways in which CBA can increase adaptive capacity and promote gender equality is captured in a new brief: Gender dynamics in a changing climate: how gender and adaptive capacity affect resilience. It is based on evidence and practical experience of implementing community based adaptation (CBA) in several countries in Africa since 2010, and it identifies the factors shaping gender dynamics and adaptive capacity and gives examples of how to integrate gender into CBA approaches as well as outlining knowledge gaps and recommendations for policy and practice. Climate Vulnerability and Capacity Analysis (CVCA) is a well-established approach for helping communities and practitioners to understand the challenges of climate change so as to identify appropriate adaptation responses for vulnerable people. A crucial task for integrating gender into CBA is to ensure that those engaged in the community-level process have a good understanding of local gender dynamics and inequalities: this requires a gender-sensitive CVCA. A gender-sensitive CVCA ensures women’s and men’s participation and also asks questions about gender issues in relation to climate vulnerability and adaptive capacity. It can build a nuanced picture of which adaptation interventions could address both adaptive capacity and gender inequality. If facilitated appropriately, the analysis process itself can be the first step in building the adaptive capacity of local stakeholders. Participatory Scenario Planning (PSP) is a mechanism for sharing and interpreting climate forecasts. It provides a simple means of collectively understanding and using forecasts to help overcome the challenges of changing climatic patterns such as shorter rainfall seasons, shifting of the times when rains start, and extreme events such as flooding and extended drought periods. PSP has also contributed to some important changes in gender dynamics in combination with other ALP initiatives. Village Savings and Loans Associations (VSLAs) have proven to be an effective platform for women’s economic empowerment at community level. VSLAs differ from micro-finance, as they are self-selected, informal savings-led groups that allow members to save flexibly. A group meets each week to deposit money; the accumulated funds are then used to finance small loans. Members can take out loans to invest in small businesses or diversify away from climate-sensitive livelihoods, or they can draw on a social fund to cope with unexpected events. There is a strong representation of women in the VLSAs: for example, in the Ghanaian communities where ALP is working 90% of members are women. ALP uses participatory teaching methods that are adapted to adult learning needs, particularly those of women, and these have contributed to greater respect for women’s abilities as farmers. One of these appropriate agricultural training interventions is the Farmer Field School (FFS). Farmers regularly visit a Field School where they can experiment with different farming techniques and crop varieties. This allows them to observe and analyse how and why different outcomes are generated, and so be able to make informed decisions about farming techniques. In Jawani, Ghana, many women have learned new agricultural practices from community meetings led by ALP and our local partners. This has resulted in community-wide acceptance that women’s farming contributes to improved household food security and increased household incomes. Tackle the gender dimensions of livelihoods: they are context-specific and addressing them in appropriate ways demands context-specific action. Gender-sensitive analysis, policy and planning is critical to this. Include gender equality in climate change policy goals and strategies. National and sub-national adaptation planning needs to be led by affected communities, and be based on an understanding of the gendered nature of climate change impacts as well as adaptation initiatives themselves so as not to further entrench inequality. Gender-equitable participatory actions will bring more gender balance into initiatives. Some of the fundamental challenges women face cannot be resolved through a single CBA programme. Action is needed by other organisations and across government departments and through advocacy to address the entrenched drivers of gender inequality and poverty. Strengthen interdepartmental work between women’s departments and climate change departments. Close the gap between policy and implementation where adequate policies do exist that focus on addressing gender equality. Power imbalance and access to decision-making in the home, community and country must be recognised and addressed in the global response. Approach efforts to address adaptive capacity and gender equality not as an issue for women alone, but as an issue that is critical for the advancement of everyone in society; it is an indispensable part of achieving social justice. Invest in context-specific analysis as it is critical to understand the interconnected factors shaping adaptive capacity in order to design effective and appropriate adaptation action. Invest in improving women’s economic empowerment in the face of climate change to address the way resources and labour are distributed and valued in the economy. Programmes need appropriate timeframes and adequate resources in order to influence social change. CBA programme designs should be required to produce gender disaggregated monitoring and to establish monitoring and evaluation of changes in gender dynamics. Investing in understanding and measuring the gendered impacts of climate change beyond economic loss is important for making all types of loss and damage visible and to ensure it is accounted for, so as to build an evidence base of the human impact of climate change. This compendium presents the range of different adaptation strategies supported by ALP in communities across the four countries where the programme is working.